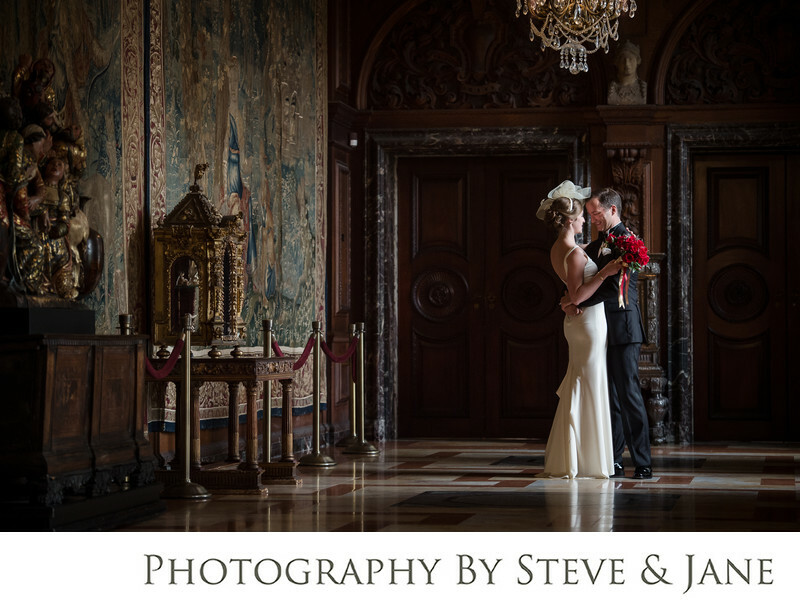 Embassy Row weddings are one of our favorites. From the Cosmos Club to the Society of the Cincinnati at the Larz Anderson House, each one boasts Gilded Age charm that takes you back to the days that the Vanderbilts, Astors, and Rockefellers ruled our country. The houses were opulent and filled with ornate furniture. A wedding hosted at any of these stately mansions will rival any wedding you'd see on Downton Abbey. The old mansions just off Dupont Circle boast lavish green terraces full of sculptures and flowers that are tended and nurtured by skilled gardeners. When planning a spring or fall wedding in the DC Metro area, your guests will be delighted to witness your vows as they sit among these carefully manicured gardens that are a oasis in a city full of concrete and asphalt. The beautiful reception rooms of both Anderson House and the Cosmos Club are reminiscent of the palace of Versailles. You are sure to feel like a royal couple as you celebrate among your family and friends. The collection of antiques at these houses are sure to charm and delight your guests as your caterer passes appetizers and drinks during your cocktail hour. A plated dinner served in the ballroom keeps your guests filled and ready to dance along with you for the rest of the night. Many hotels are located within walking distance for the convenience of your guests. Hotel Palomar and the Residence Inn are just a block away and offer a comfortable place to rest after the wedding. Hotel Palomar boasts the restaurant and bar, Urbana. Urbana is the perfect place to gather after the wedding if your guests aren't ready to turn in for the night. The bar offers delicious and one of a kind cocktails and the kitchen has wood fired pizza that is sure to take care of those late night snack cravings your guests worked up while dancing at the reception. If your friends want to continue to dance, they can head up to Dupont Circle and go to Kabin. It gets rave reviews for keeping the party going with it's music and drinks. The options are endless when you choose to host your wedding on Embassy Row. Keep your family happy and your friends happier with the gorgeous locations and fun after party options. Location: 2118 Massachusetts Ave NW, Washington, DC 20008 .